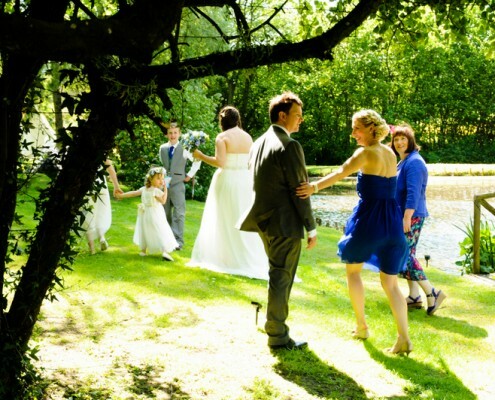 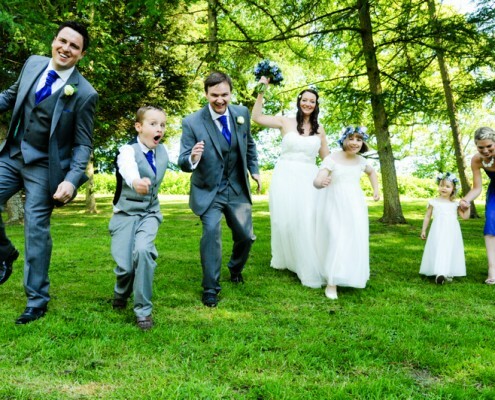 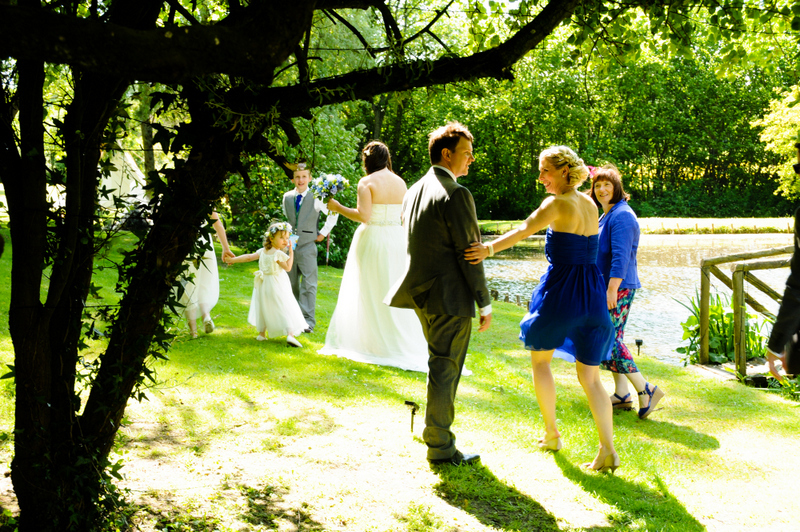 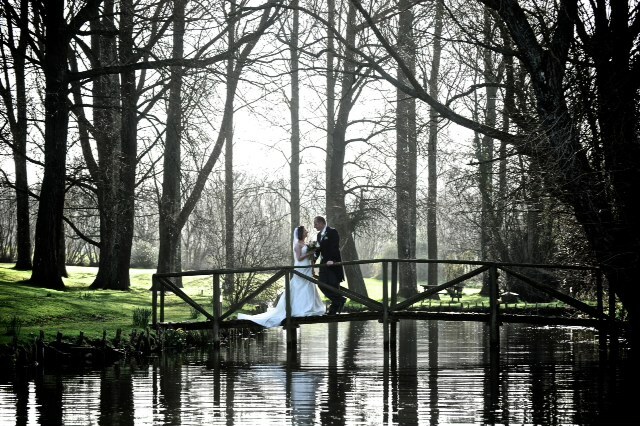 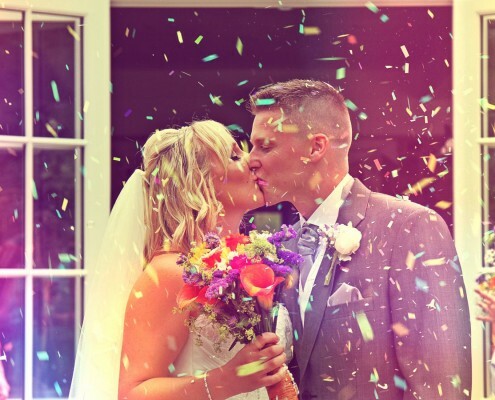 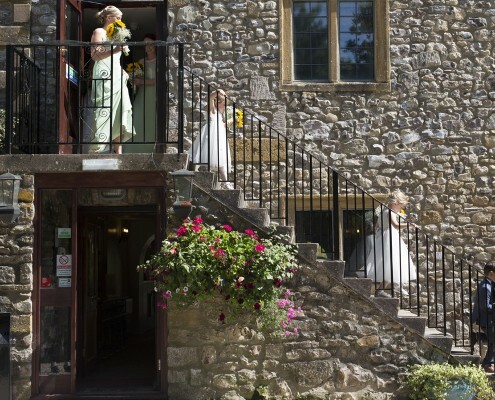 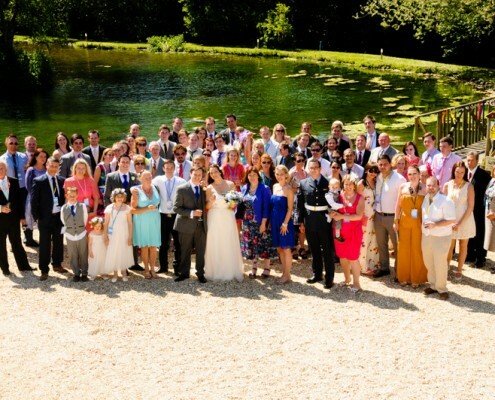 Hornsbury Mill is the ideal setting for your wedding venues in Somerset. 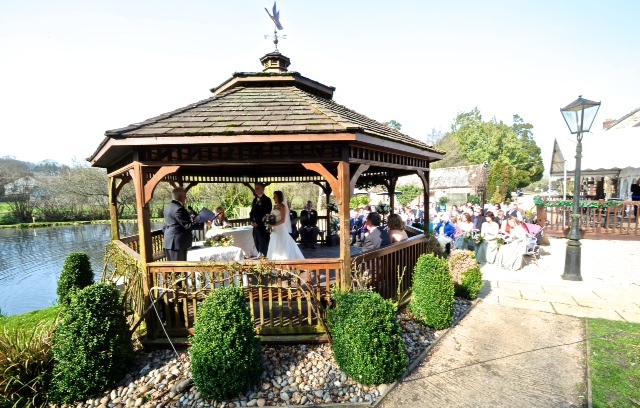 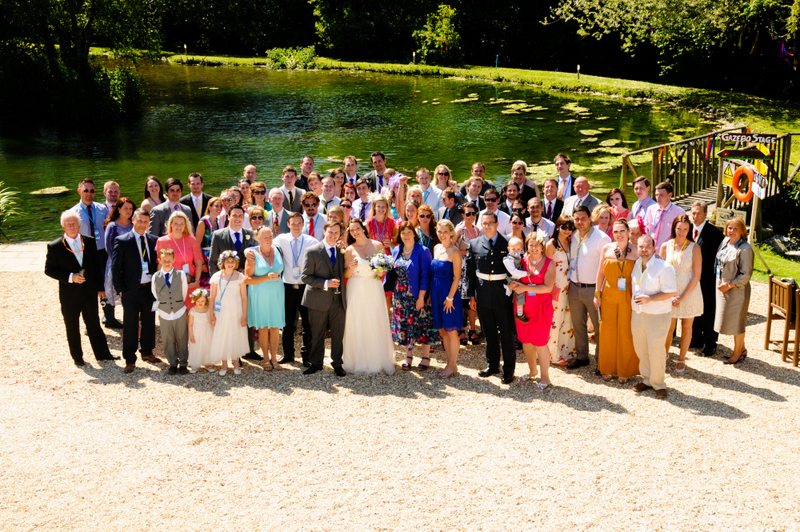 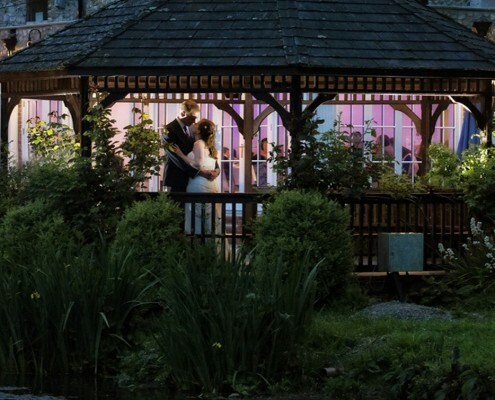 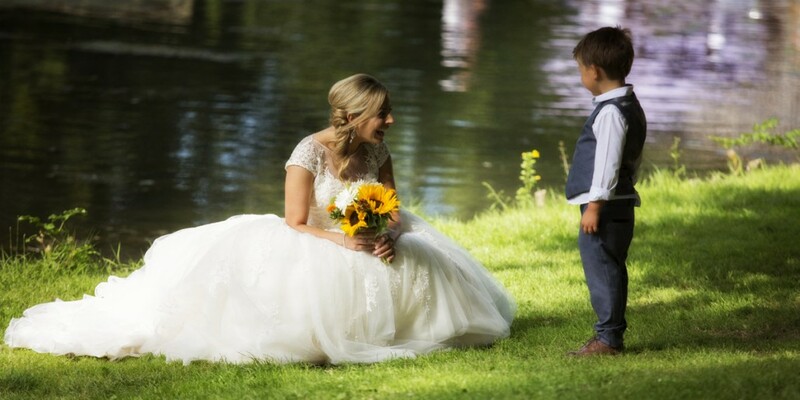 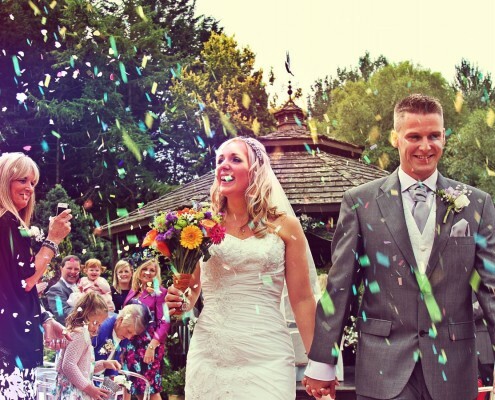 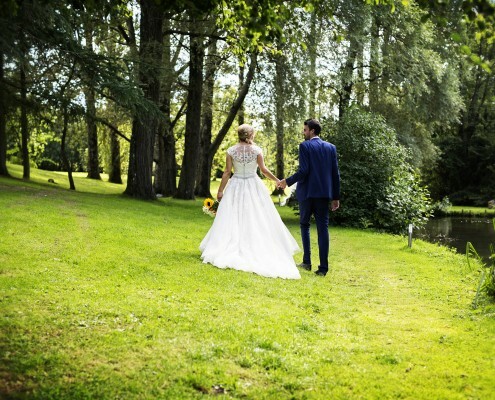 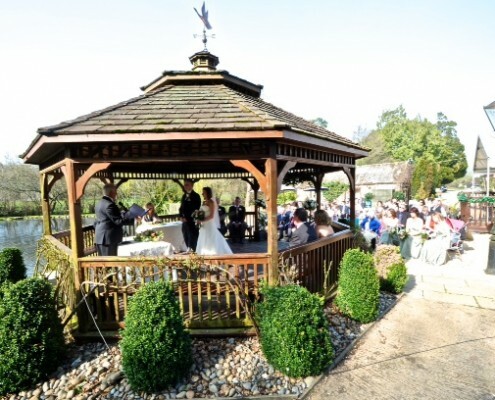 Your ceremony will take place either in the atmospheric candlelit Cornloft, or outside in the Gazebo in the landscaped gardens beside the lake with its beautiful fountain and curious feathered residents (weather permitting). 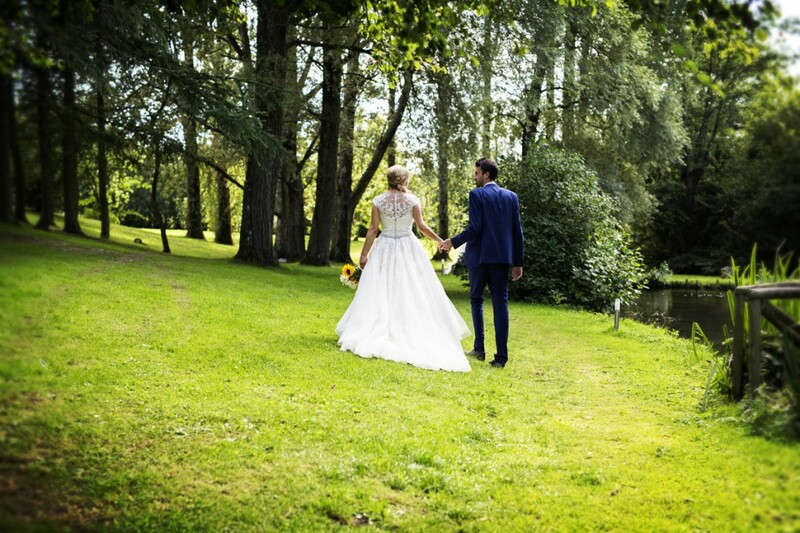 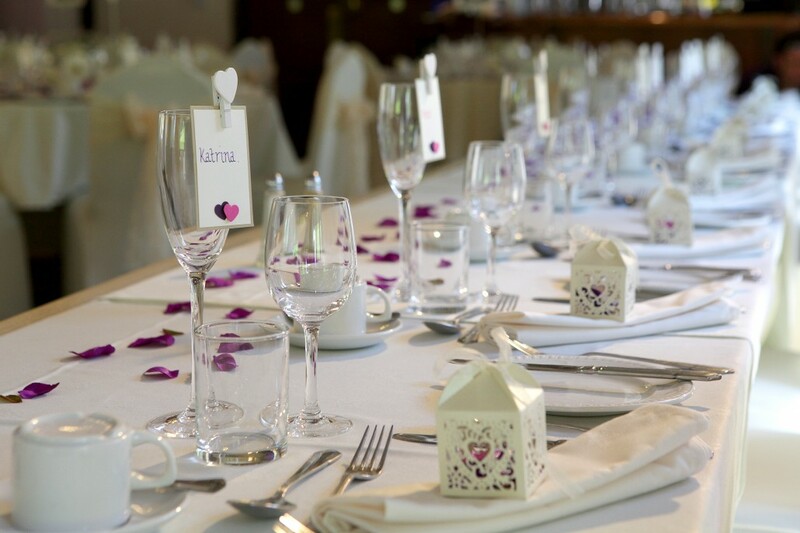 We hold a Civil Wedding Licence, allowing for an all-inclusive, custom-made package for your marriage or civil partnership, reception, evening party and accommodation. 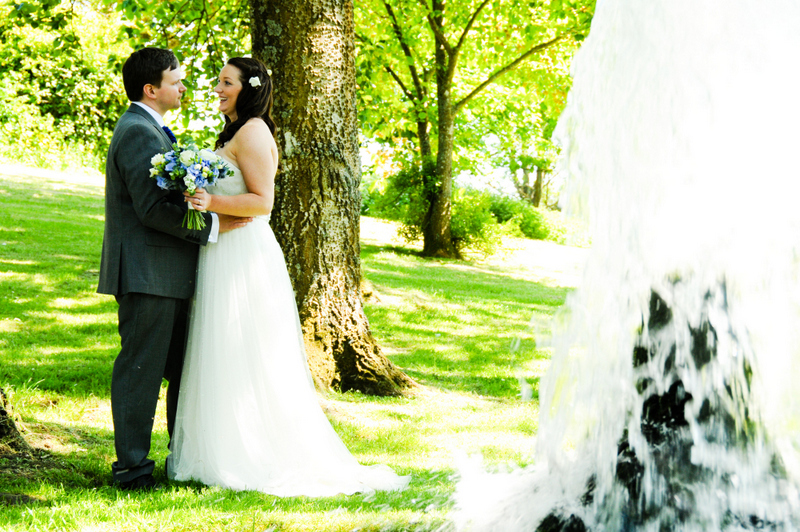 You are offered excellent freedom of choice to create the special day of your dreams. 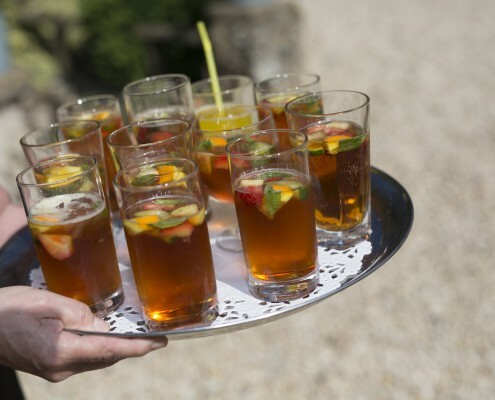 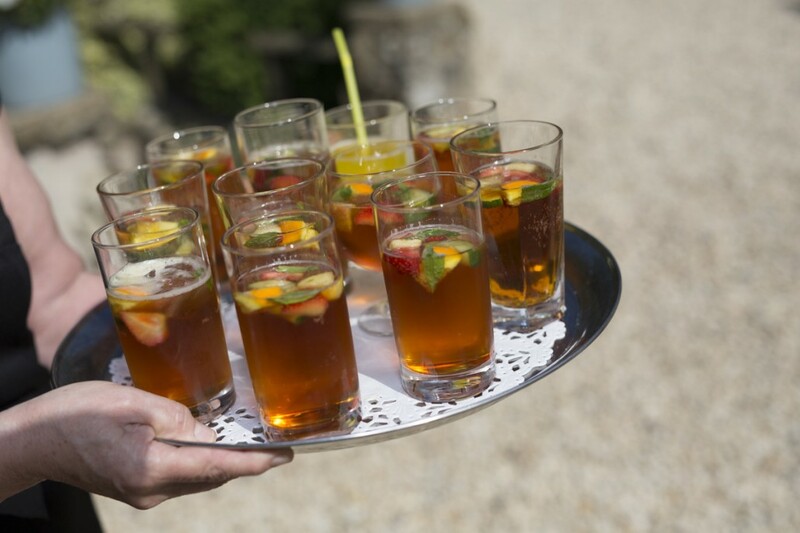 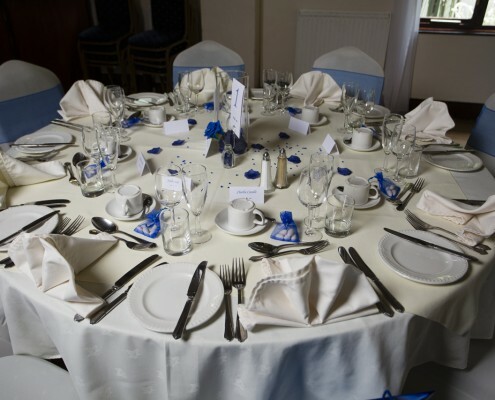 Our complete and professional service means we are able to act as a single contact for all your arrangements. 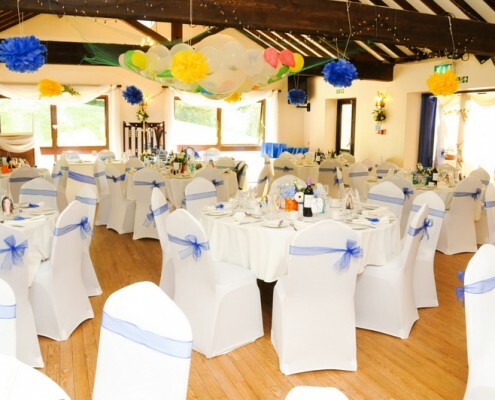 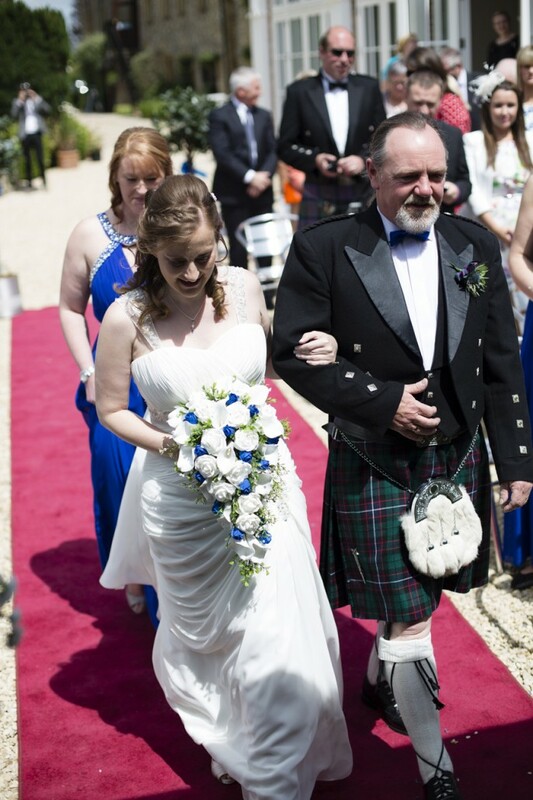 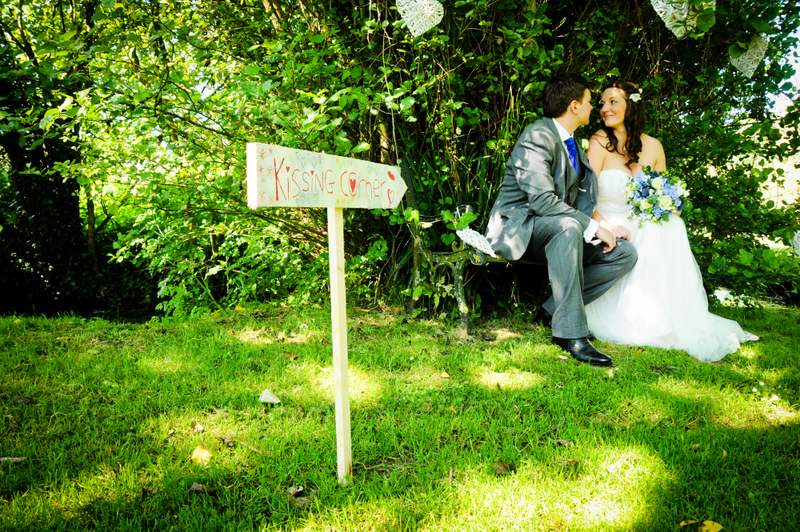 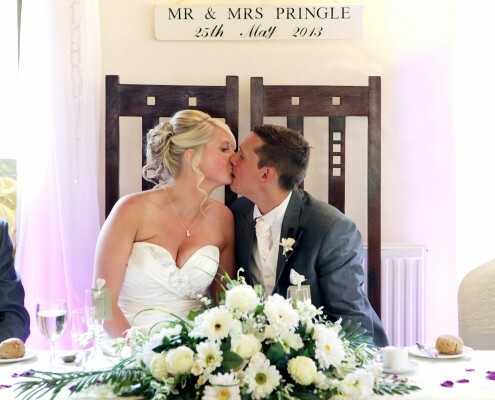 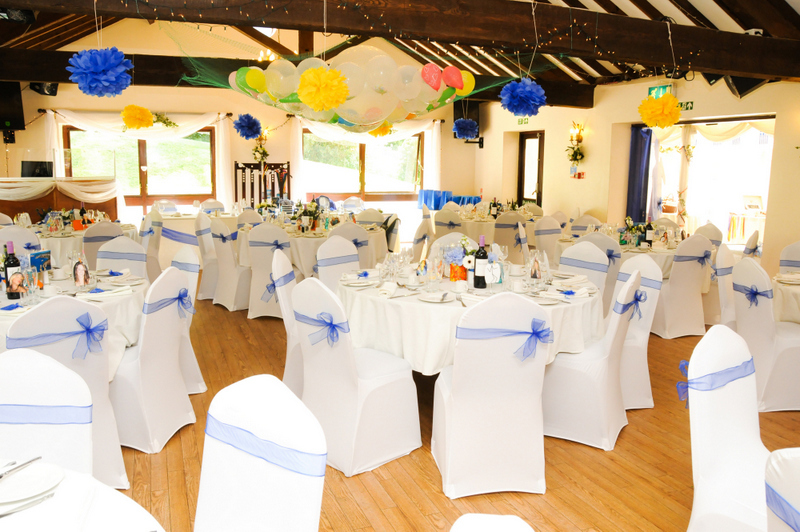 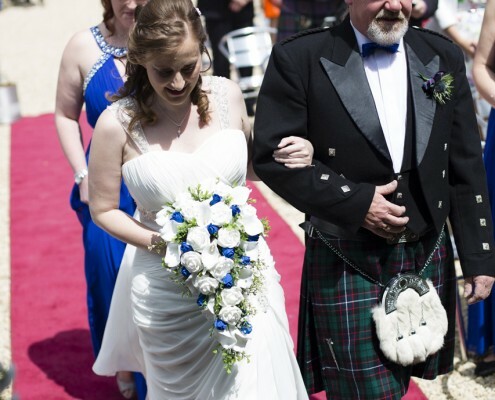 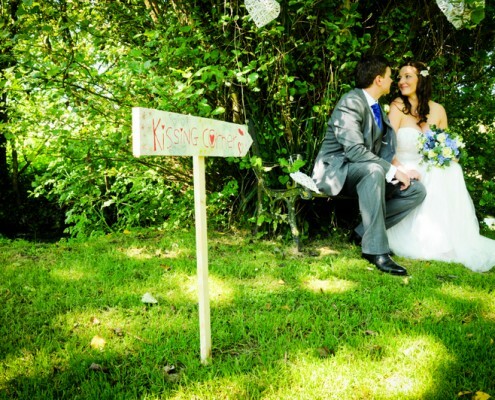 There is no need to co-ordinate separate wedding and reception venues, caterers, cars, transport and accommodation. 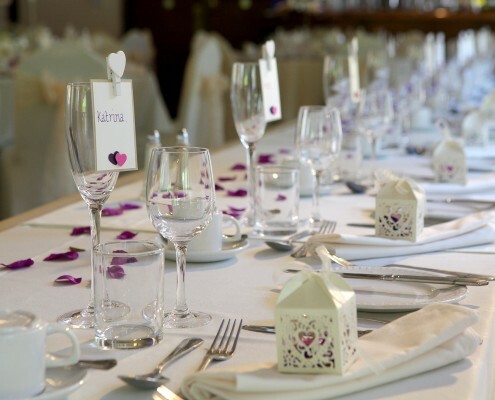 Intimate Wedding Breakfasts for up to 40 guests are held in the Wheelroom, smaller parties of up to 30 guests in the Coachroom, whilst larger groups of up to 130 guests can celebrate in style in the Lakeside Suite and Orangery. 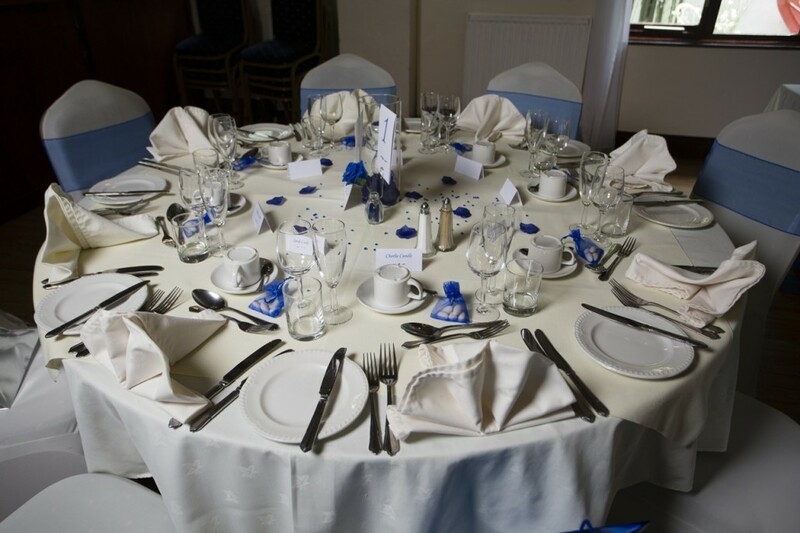 This Suite seats 130 guests for a sit down meal. 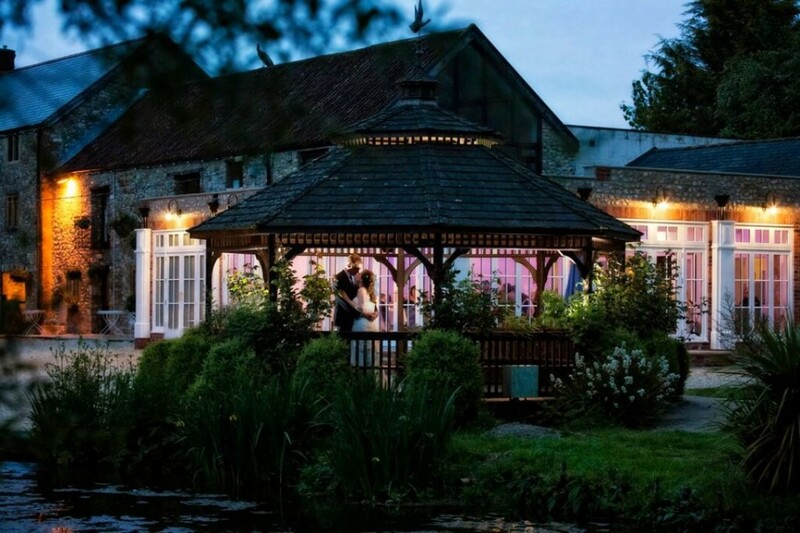 The Lakeside Suite is perfect for your evening celebrations too, with capacity for 200 guests it has panoramic views of the beautiful floodlit gardens and lake. 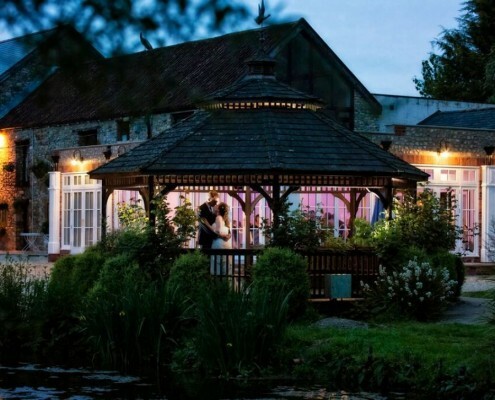 You will have exclusive use of the Lakeside bar and a disco booth & lights are already in place for that unforgettable evening party where you will dance the night away. 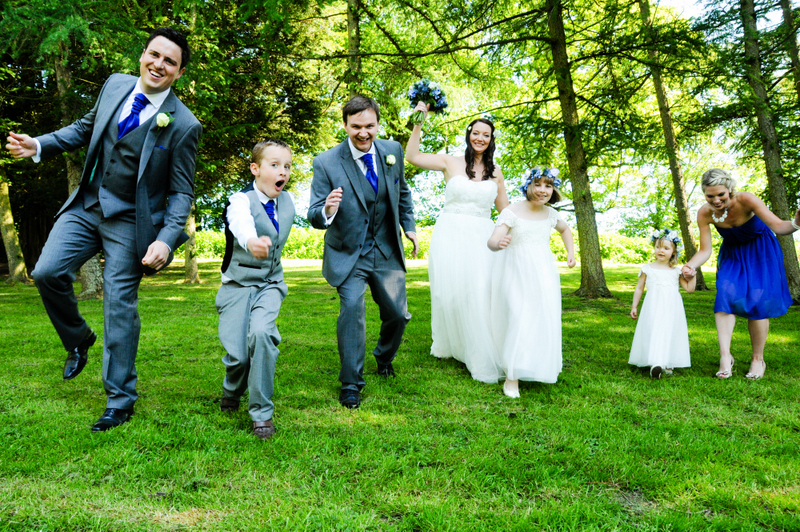 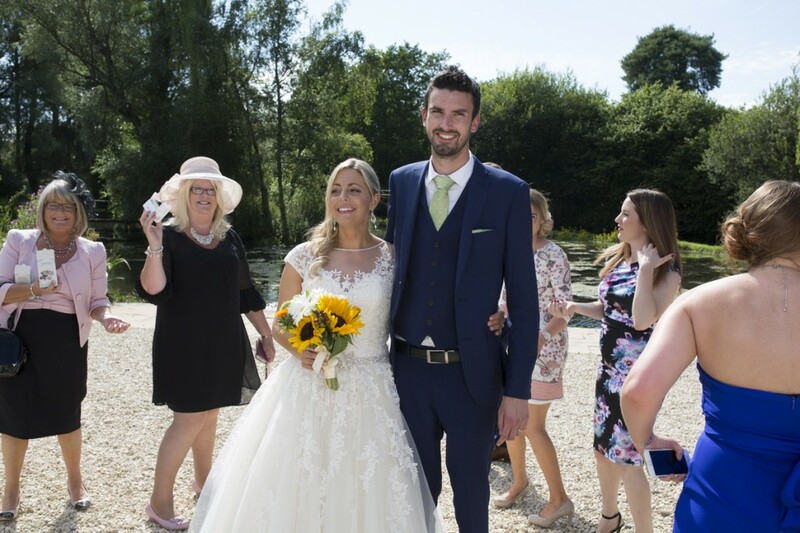 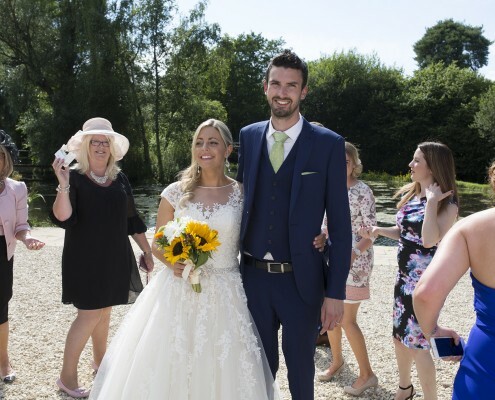 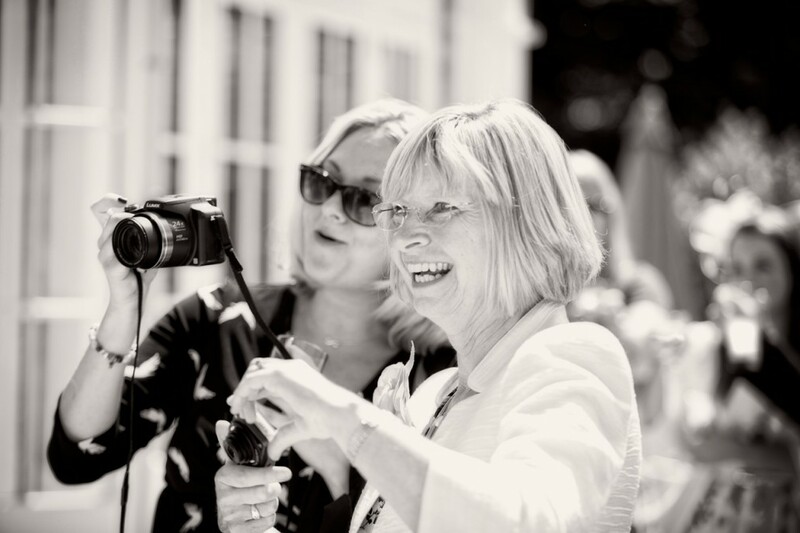 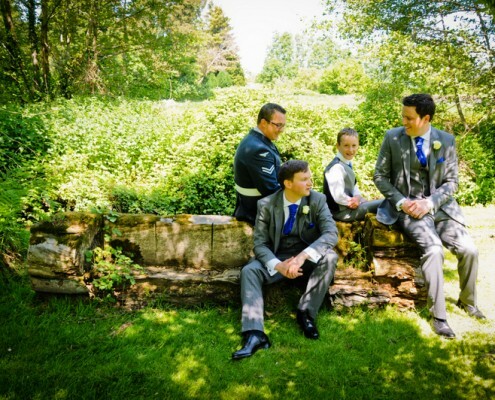 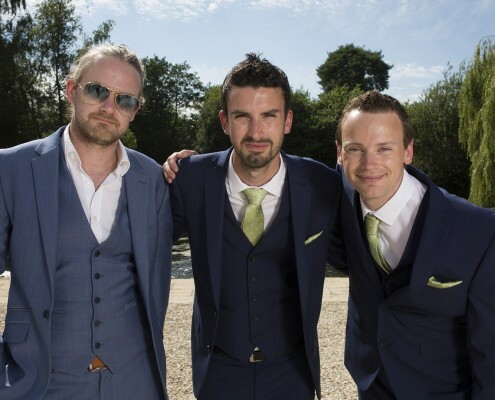 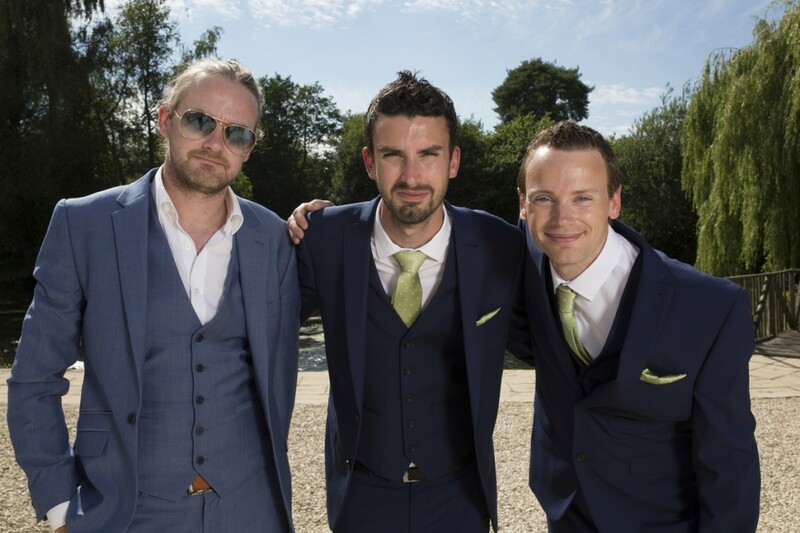 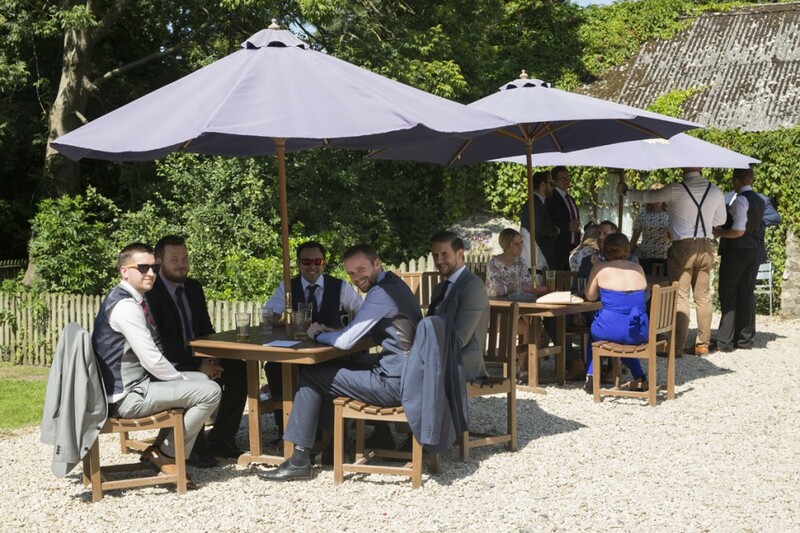 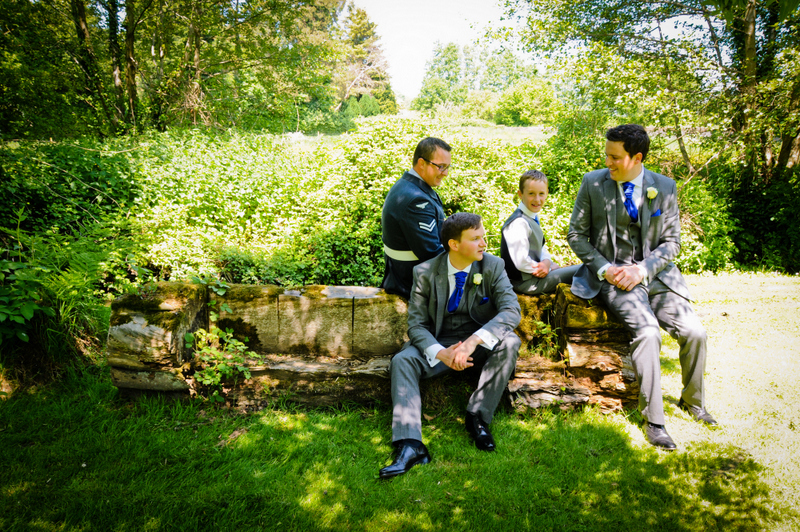 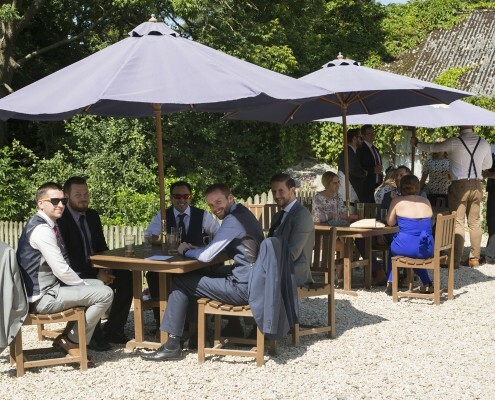 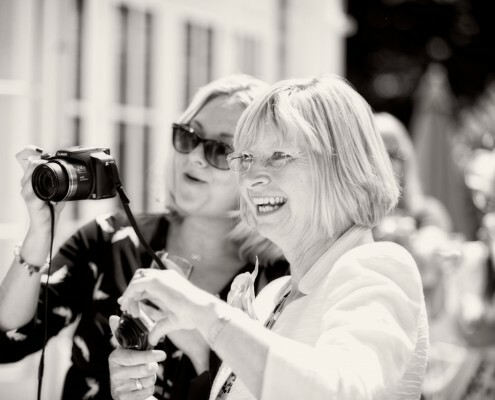 Our experienced wedding organisers will take you through the planning stages and available options and will be close at hand to support and guide you on the day, leaving you time and energy to concentrate on yourselves and your guests. 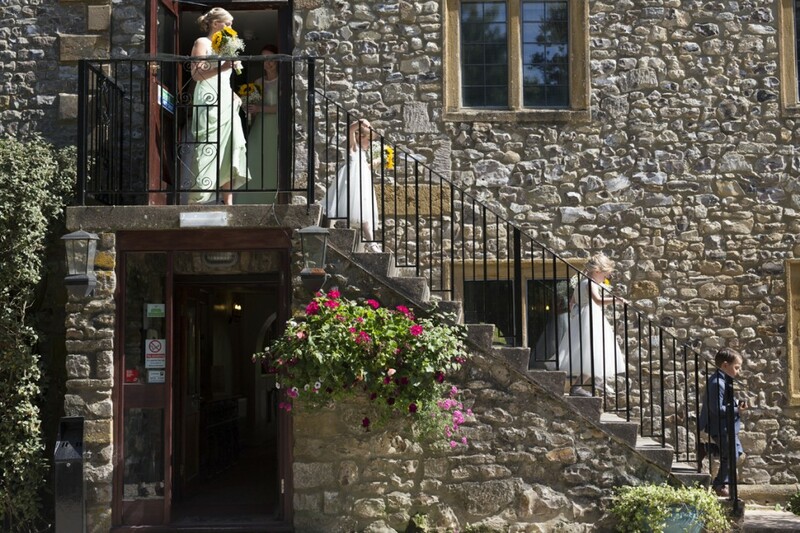 When it is time to retire, the 9 individually designed, ensuite bedrooms of our quaint Old Mill are home for the night for your guests while you take time to enjoy the luxury and comfort of our famous bridal suite. 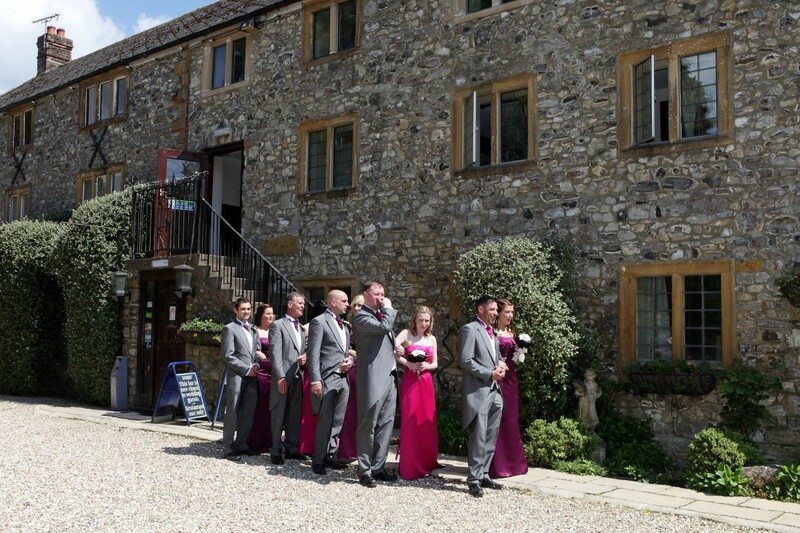 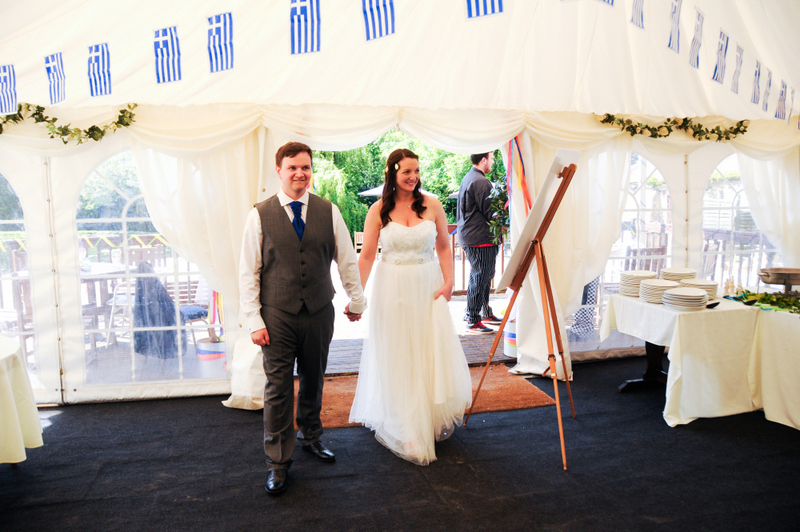 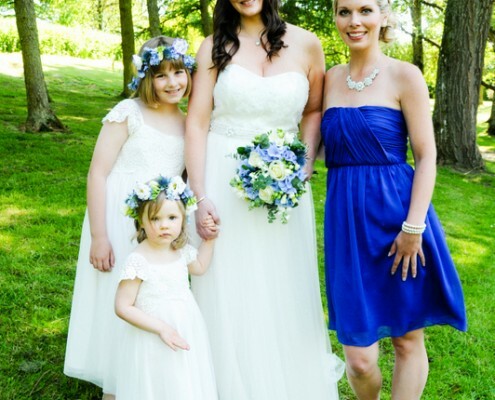 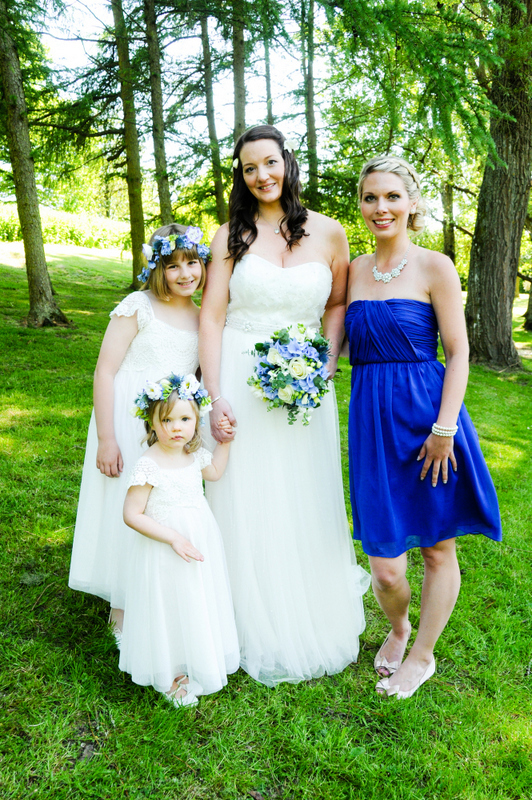 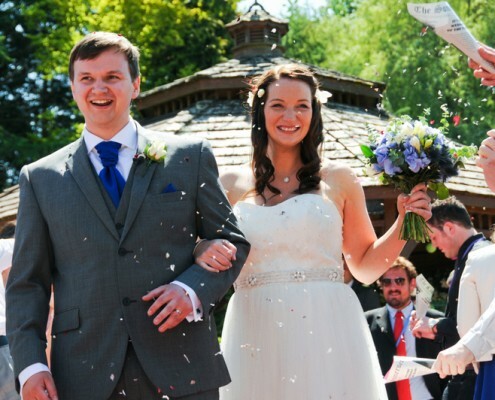 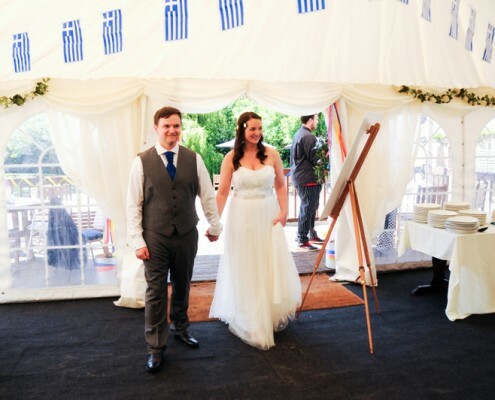 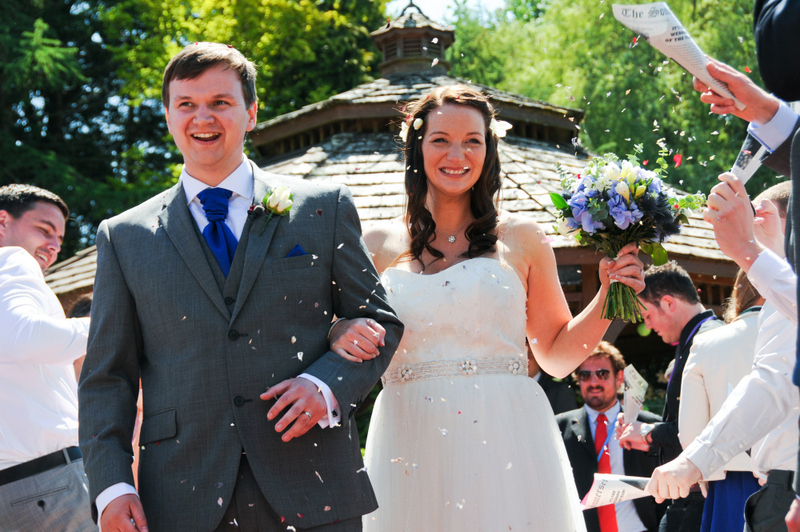 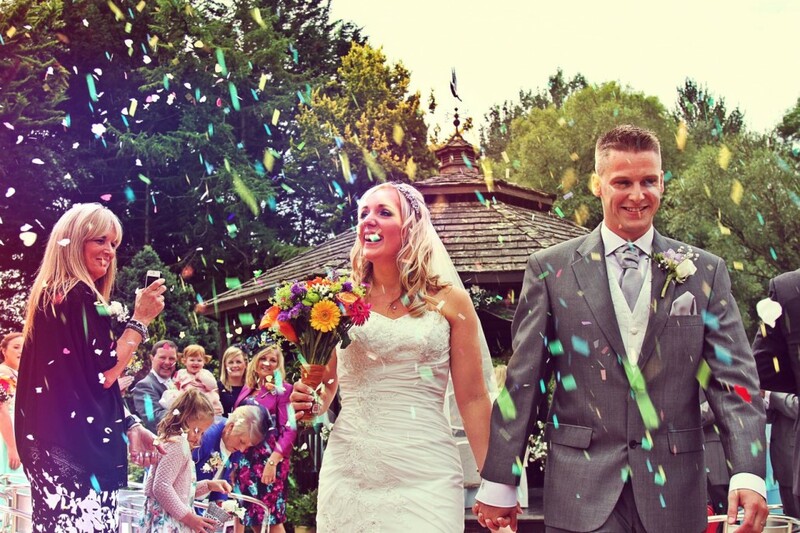 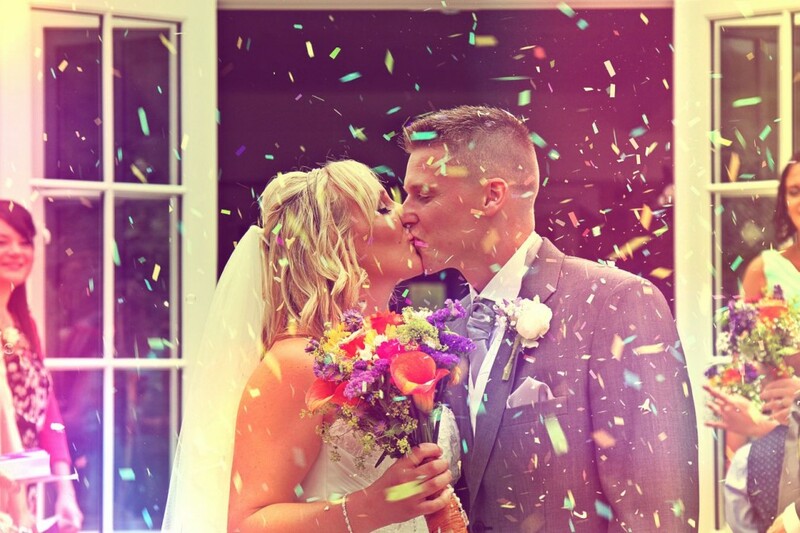 Lindsay, our Wedding Coordinator at Hornsbury Mill, will be happy to talk through your wedding plans. 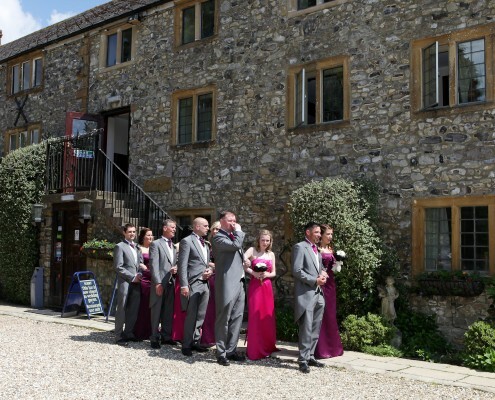 We will be in touch within the next 48 hours to discuss how we can help make it a special day for you and your guests at Hornsbury Mill. 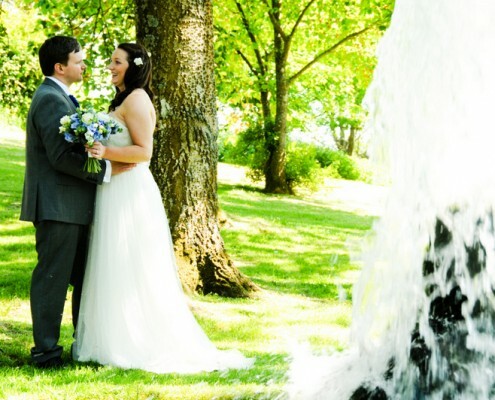 Please email us if you have any questions or would like to speak to Lindsay sooner.